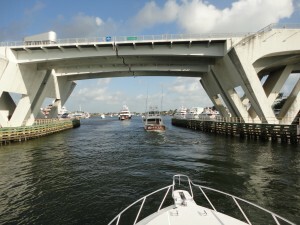 We did sea trial for Bertram 410 in the morning. 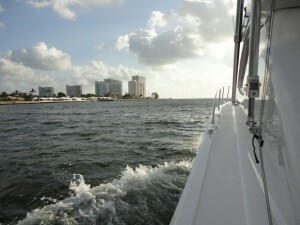 It was very windy day out, so good to know the boat ability at rough condition. 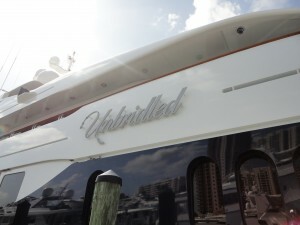 I must say that even though small boat, the running capability is Bertram technology. 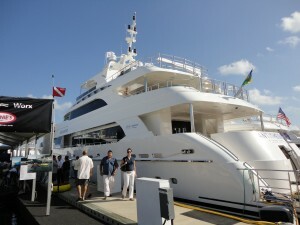 It was interesting to see mooring Mega Yachts and cruise ships. 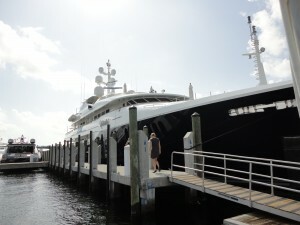 The Mega Yacht project is usually owner’s taste reflects inside and profile set up, semi-custom yacht style. 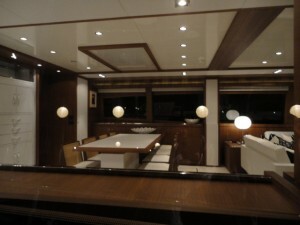 Profile design represents yacht builders character for their boat. 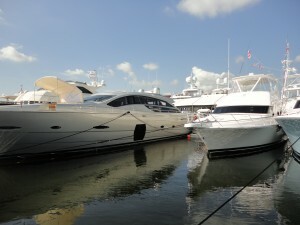 We went to Ft. Lauderdale boat show in whole day. There were many people coming, so the city had bad traffic. 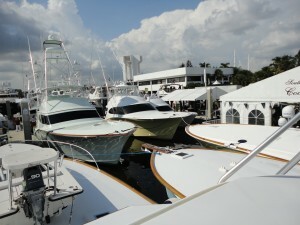 The boat show site is in front of pictured beach. 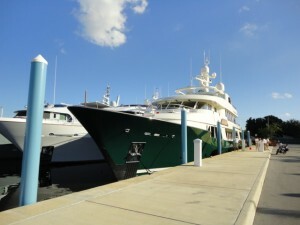 I took a look at Sports Fisherman boat today. It’s interesting to see each manufacture’s character. It’s about 30℃ outside, I have to move efficiently and look around everything. 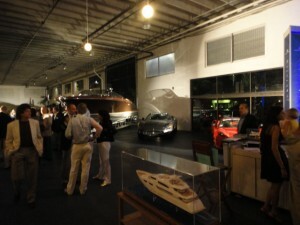 I attended the Ferretti Group Party at Allied Marine show room. 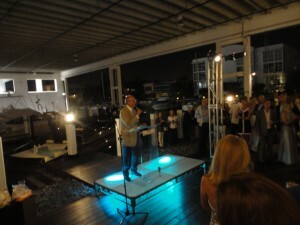 Mr. Salvatore Basile came the party to make a speech. 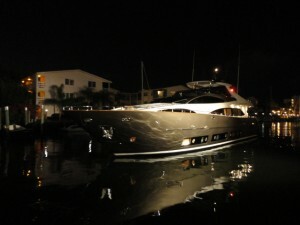 The 92 feet Riva, Duchessa, appeared when change the music and spot light targeted to the canal. It’s very unique way to show new item. 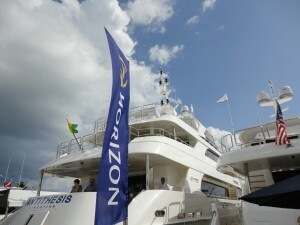 I will go to boat show from tomorrow. 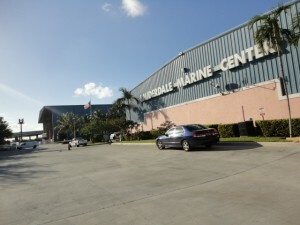 After the design center, we went to Mega Yacht marina, Lauderdale Marine Center. The site is huge, so we moved by golf curt. 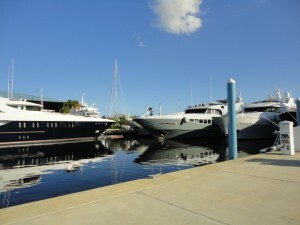 I though there were few boats because of boat show, but there were many of yachts in the marina. 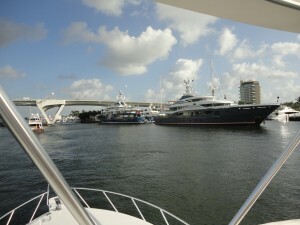 It was very kind of Lauderdale Marine owner that we could take a look at new Burger 100 ft over yacht. Captain welcomed us on board and took us to the tour. She took 5 years to build. 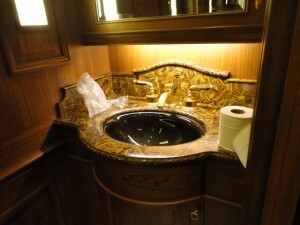 The interior is very detailed and American taste of design. 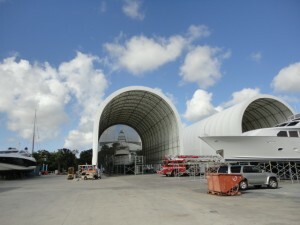 It’s good resource to me to have a chance to see it. Thank you very much for the tour.